In the first of a series of essays on the lives of translators, Josh Billings explores the work of pivotal Russian translator Constance Garnett. I was blinded by the steam on my spectacles at first, then I saw the interior of a Russian izba for the first time. Two women and several children got up from their lockers on which they had been asleep… In the middle of the fearfully hot airless hut swung a sort of large birdcage covered with a large red cotton cloth, and from it came the miauling of a baby… I could not stay more than a few minutes in the izba—I was afraid of fainting—so I went out and sat in the sledge where the temperature was somewhere about zero under the immense dark blue starry sky. The peasant directed our driver. I remember one of the women ventured to put in advice—and was at once told to hold her tongue—that this was not a woman’s business . It was a scene straight out of Turgenev, a writer whose unexpected vogue in late 19th-century England turned out to be the first wave of a fascination with Russian literature that would grip the anglophone world until the late 1920s. Over the course of its thirty-year run, this “Russian fever”  would influence not only specific artists, but also the way that writers, and readers, thought about fiction. It would transform the novel in English, swinging interest away from corseted descriptions of late-Victorian drawing rooms, and towards what D. H. Lawrence, writing about Anna Karenina, called “the bright book of life.” And it would do so, for the most part, in the voice of a single translator: Constance Garnett. It’s easy now to see this change as inevitable, but at the time no one saw it coming, least of all the young librarian at the center of it. A shy woman, Garnett was used to not making a fuss about herself. Her childhood had been marked by enteritis, sciatica, migraines, and, when she was only three years old, a debilitating bone infection. The last of these left her unable to walk on her own until she was seven; but rather than exploiting her sickliness Garnett accepted it, developing what one sister called a “cheerful and placid” nature. As time went on and her health improved, she became a caregiver herself, providing a levelheaded counterpoint, first to the other members of her large Scottish family, and then (after their marriage in 1889) to her significantly younger husband, Edward . On the one side, a fanatical almost Puritanical revolutionary, pedantic and strict, and ready to go to the stake rather than disown or disguise opinions really of no practical importance, scrupulous,—on the other hand, pleasure-loving, vain, rather intriguing, a tremendous ‘ladies’ man’, a first-rate actor, fond of dancing. One day he was a pathetic broken down old man—very sorry for himself—the next day he would look 20 years younger, put a rose in his buttonhole, and lay himself out very successfully to please and entertain. In an Englishman, Volkhonsky’s flightiness might have been understood as superficiality—but in a Russian it meant the opposite. It was evidence of the profound inner depths in which Volkhonsky’s (bigger, realer) Russian soul ambled like a bear in a forest. Enchanted like so many other British intellectuals of the period, Constance offered him a place to stay and that most precious quantity for a performer, an audience. When he repaid her after one stay with a Russian grammar and dictionary, she did something few librarians, or revolutionaries, would have, and decided to use it. It took thirteen months, give or take a few weeks recovering from childbirth. In 1894, shortly after returning from her trip (the first of only two that she would take to Russia), she published both A Common Story and Tolstoy’s two-volume The Kingdom of God is Within You—a book whose style she admitted in her translator’s note was “often slipshod, involved, and diffuse” . Then, in late 1894, the London-based Heinemann publishing house engaged her to translate Rudin and A House of Gentlefolk, the first two volumes in what they hoped would eventually turn out to be a monumental translating venture: The Collected Works of Ivan Tourgeneff. It was an ambitious project, but it made sense given Turgenev’s already sizeable popularity in England. This is hard for a 21st-century reader to grasp, but in the 19th century, Ivan Turgenev was more famous than Tolstoy, Dostoevsky, and Chekhov combined. He was a quail-hunting barin, who wrote about clouds and sunsets in the prose equivalent of Constable’s watercolors. At the same time, he was Harriet Beecher Stowe, condemning serfdom in works that had the sentimental and political power of Uncle Tom’s Cabin. To the socialist and language-loving Garnett he was a dream come true, and she dove to her task. By the time the Heinemann Collected Tourgeneff released its penultimate volume in 1899, it was a huge success. Its fourteen volumes of novels, novellas, and short stories added up to an encyclopedic recreation, not of Russia, but of “Russia”: a place that, to many readers, seemed both strange and strangely familiar. A large part of this was due to the congeniality of Turgenev’s writing; but another part had to do with Garnett’s ability to communicate that congeniality, in prose that often did not seem like it was translated at all. To some readers her ability to do this was so impressive that it replaced even the author’s success. “Tourgeneff  for me is Constance Garnett and Constance Garnet is Tourgeneff,” Joseph Conrad wrote famously, echoing a popular critical response. Later critics would be less enthusiastic about this eclipsing, especially when it was achieved by smoothing down those authorial idiosyncrasies that ran contrary to the manners of Victorian prose. But in Turgenev, Garnett’s mainstreaming met a complimentary sensibility: a Russian author who was himself trying to transpose European techniques and tones into his native language. The series that Garnett undertook after The Complete Turgenev sold better, but none of them achieved its alchemy. To mangle Tolstoy (whose War and Peace Garnett completed in 1904): “All happy translations are unique; all unhappy translations are alike in their unhappiness.” Ironically enough, the characteristic unhappinesses of Garnett’s translating style are most obvious in the work of hers whose publication was the most sensationally successful. Fyodor Dostoevsky’s The Brothers Karamazov had been available in French before Heinemann commissioned an English version of it; but Garnett’s translation, released in 1912 (almost thirty years after the Russian original), struck a nerve. Its frantic monologists were far away from Turgenev’s lounging sportsmen; but they fit right in to the England of 1912, which was after all less a pot waiting to boil over than a volcano busy erupting. In the context of its disaster, Karamazov was received as a sort of prophecy—a record of the “spiritual sickness” that was blossoming around the time of its English publication into both the First World War and the Russian Revolution. The fact that Garnett’s translation elided many of the truly revolutionary aspects of Dostoevsky’s prose in order to make that record was either overlooked or forgiven, if only because so much of the book’s strangeness had survived intact . It was during the war that Constance at last found a publisher for Chekhov. Frank Swinnerton has told how he was at a party given by Scott-James when Edward [Garnett] came upon him doing up the fly buttons that he had heedlessly left undone. Caught at a disadvantage, and known to be working at Chatto and Windus and to have been a self-proclaimed Chekhovian ever since he had seen The Cherry Orchard, he could hardly refuse to publish Constance’s translation of Chekhov’s Tales. With its gentle humor and debunking irony, this scene might have been written by Chekhov himself; just as easily it could be an outtake from BBC’s The Office. Indeed, if we consider Chekhov’s influence on 20th-century British comedy in conjunction with the iron grip that he has on the American MFA world, we might say that Garnett’s Complete Chekhov has turned out to be her most enduring graft. The reasons for this may seem mysterious today, but in the 1920s and ’30s they were clear to the point of invisibility. With the memory of the Great War smoldering like a crater and the Russian Revolution stuttering towards heartbreak, Chekhov was that rarest (and most “Russian”) of things: a realist. 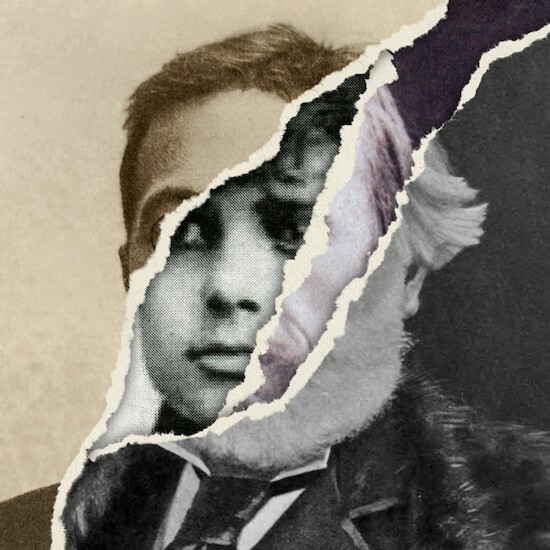 His melancholy stories described a world that readers could recognize—one that, with a few tiny changes of names and objects, they could say resembled the one they actually lived in. The translator has many hours of despondency in which the struggle to adjust the conflicting claims of two languages is seen clearly in all its hopelessness and the resulting compromise seems something too poor and imperfect to be worth the labour. What has given me courage to persevere all these years in the face of the always increasing sense of the difficulty—the impossibility—of successful achievement, has been the hope that contact with the work of the great Russians—even at second hand—must have its influence on the best of the younger generation—that it could not leave them unchanged. That has been my dream all these years. Footnotes for the essay be found here.